I have always been fascinated by how a spoonful of food can improve even the ugliest of moods. If the clouds cry, a hot bowl of soup makes the rain feel softer. 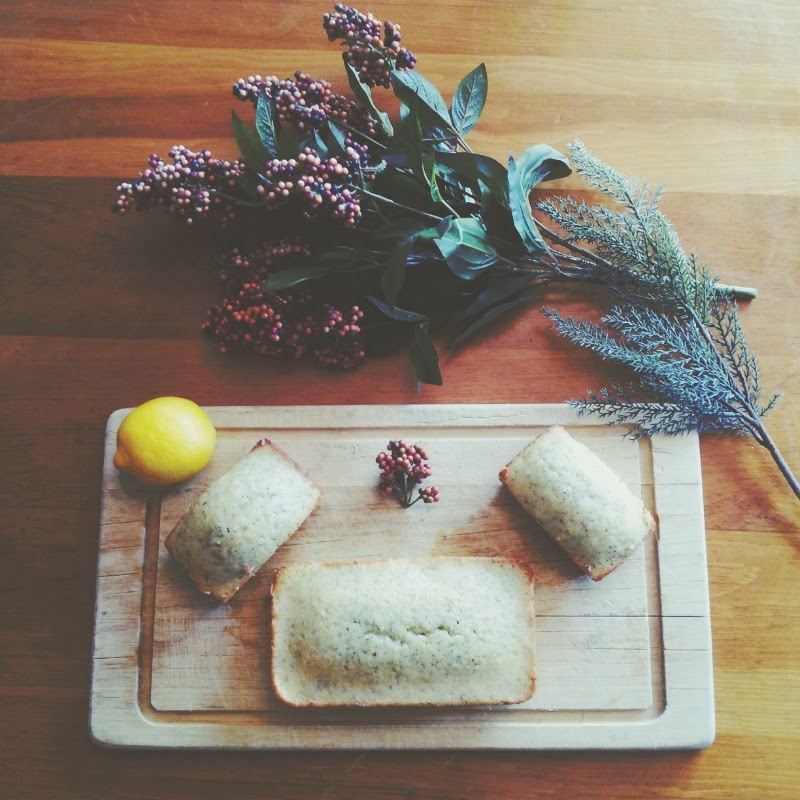 If your heart aches, a freshly baked loaf makes the day seem brighter. I learned patience by waiting at the oven's door for a fresh batch of my mother's cookies and I learned joy in the shape of cinnamon buns on a Saturday morning. In an effort to explore the beauty of food, I have decided to lend more time to baking and learning how ingredients work together. 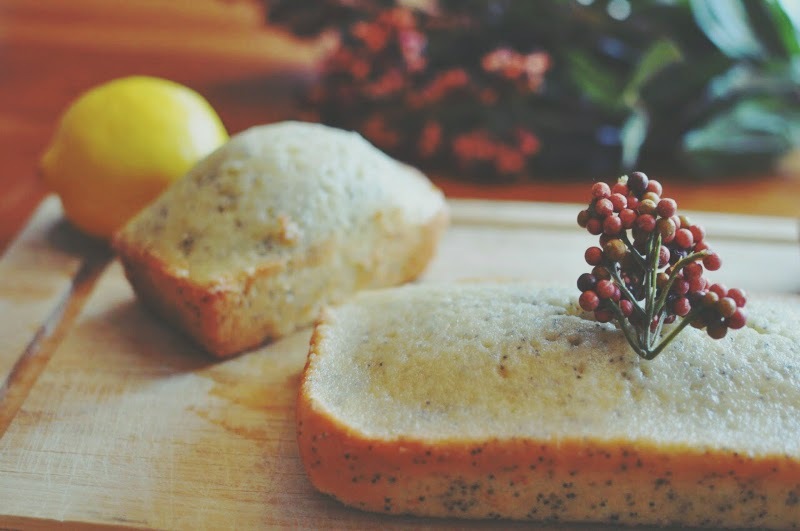 Recently I baked a lemon + almond poppy seed loaf and I wanted to share it with you. 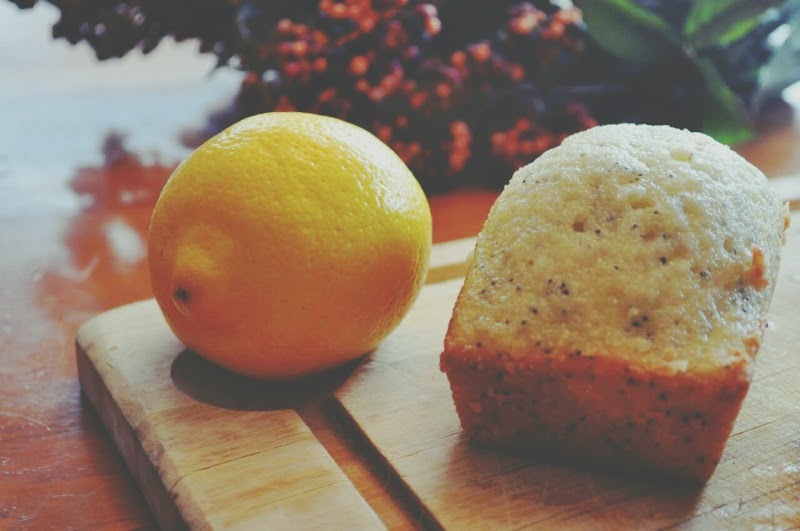 On the roof of the loaf, there are sticky drippings of lemon and sugar. 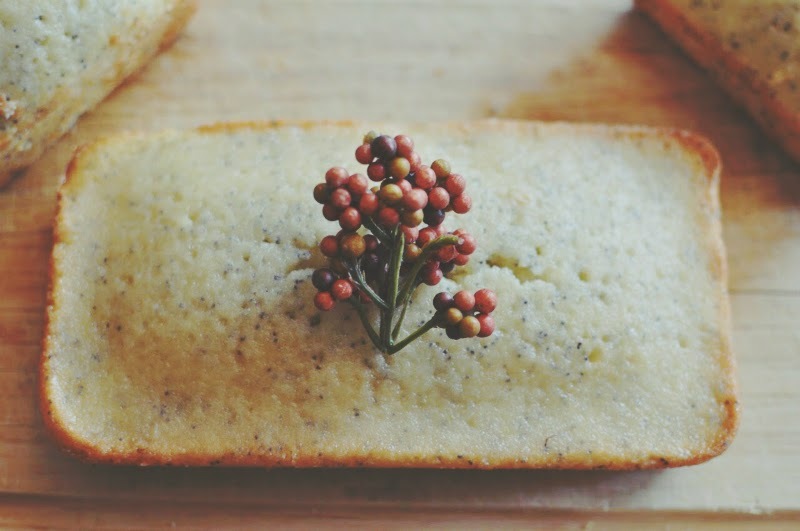 On the inside, poppy seeds dance with a sweet lemon zest. This looks very very yummy! Yum! This looks so good. I've been craving lemon-flavored breads lately for some reason. These pictures are gorgeous too. What a pretty loaf, I love your photography! Really beautiful girl and long skirt.